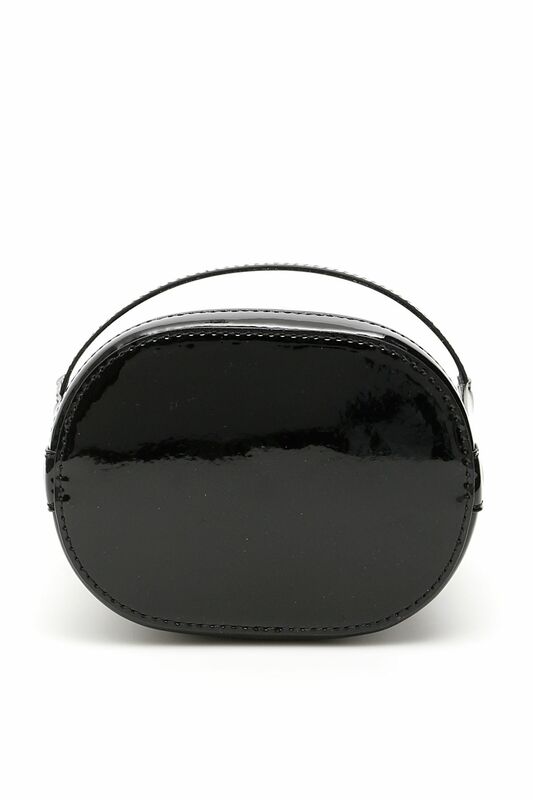 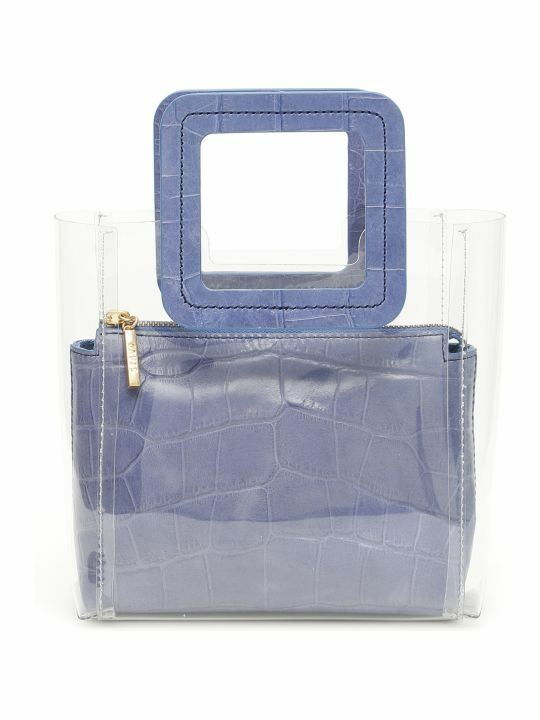 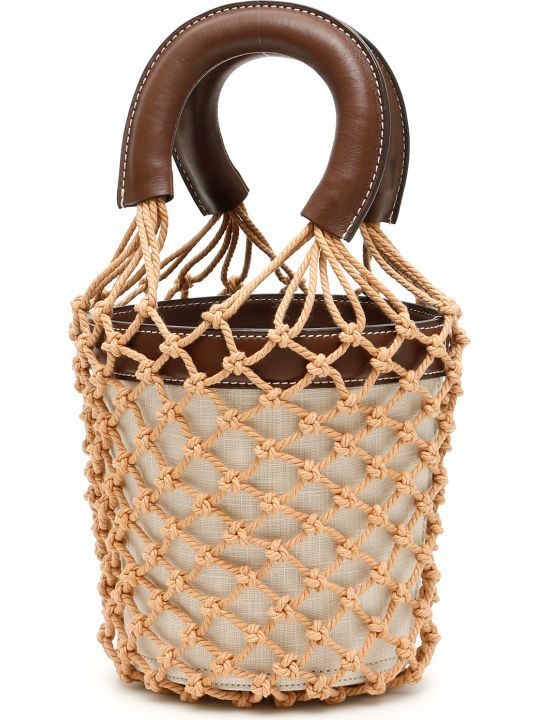 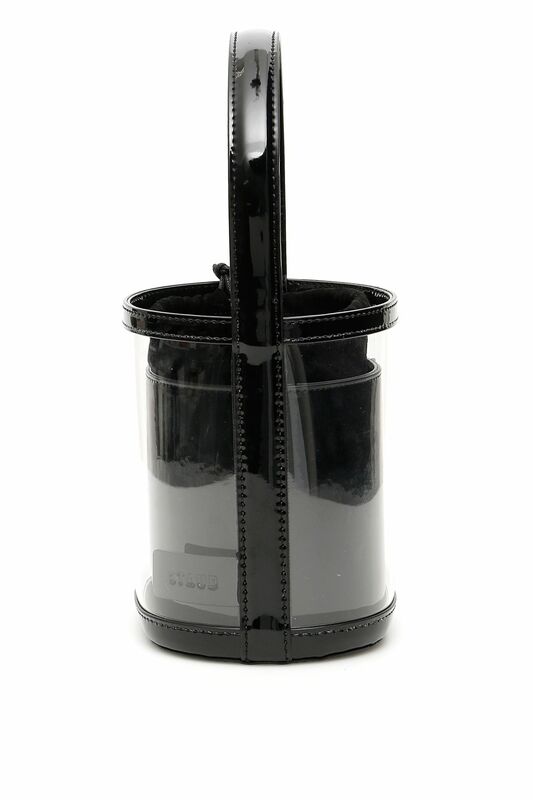 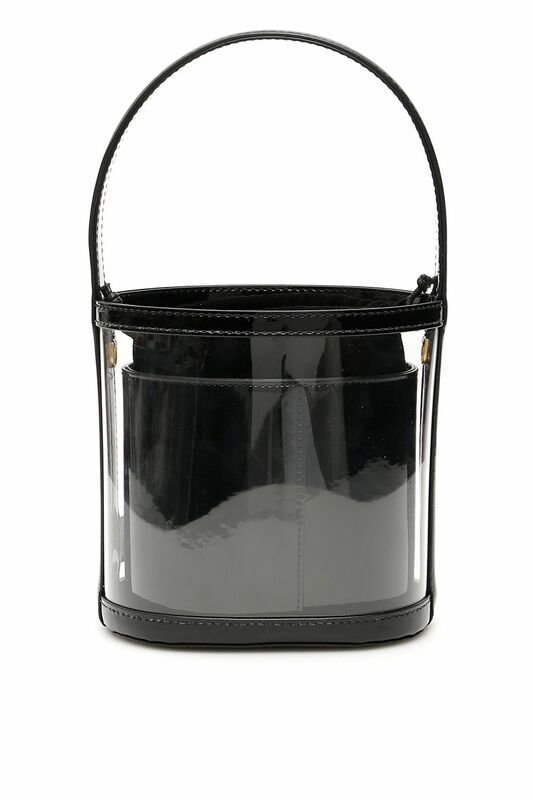 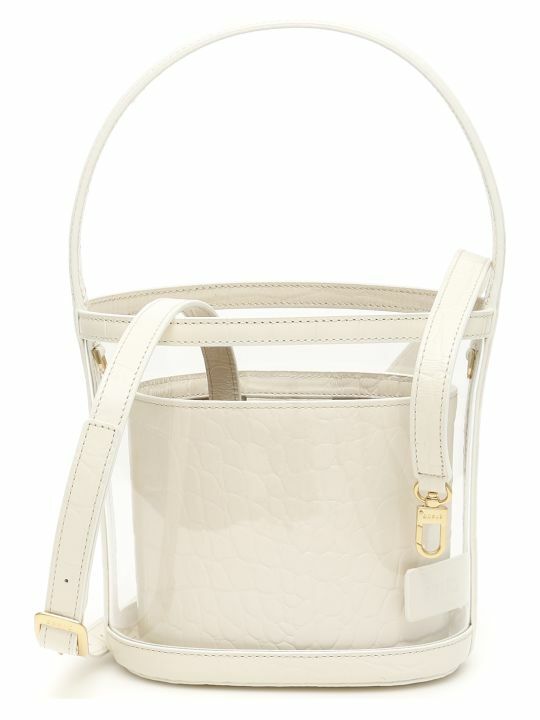 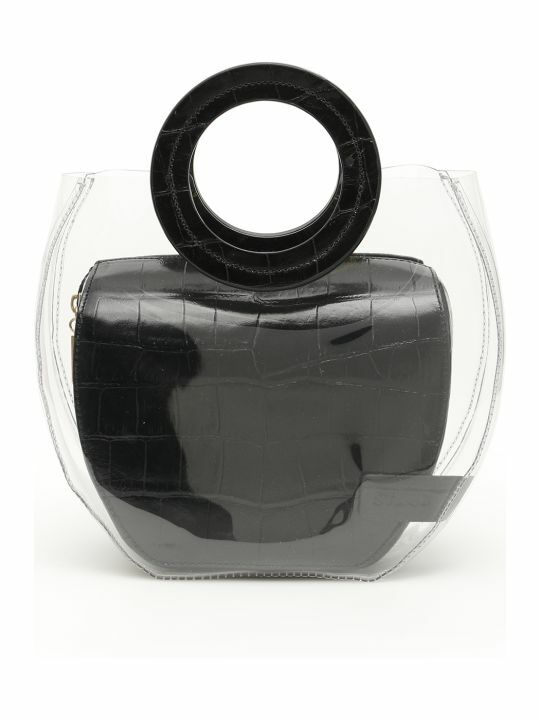 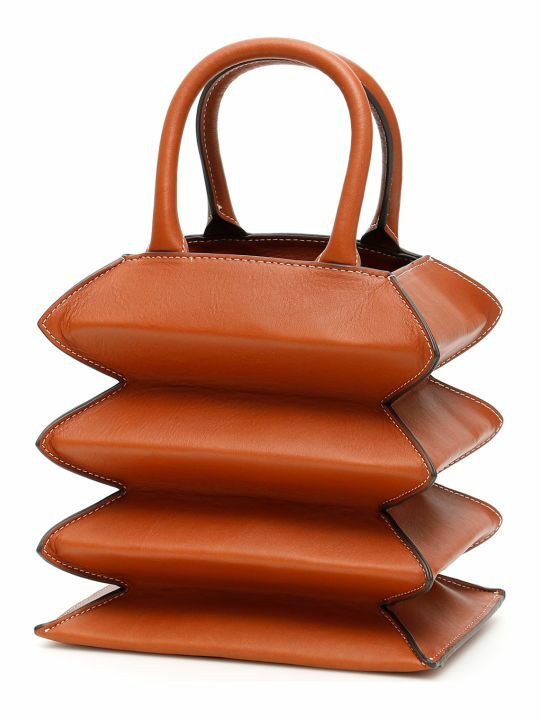 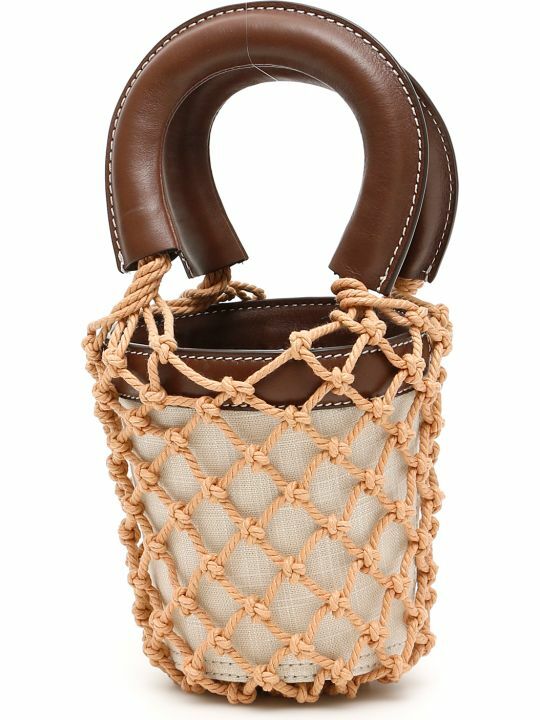 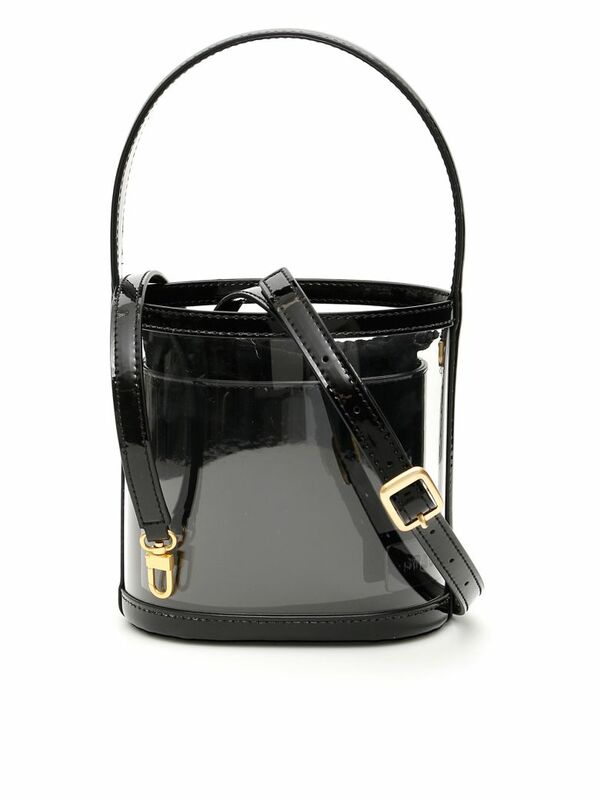 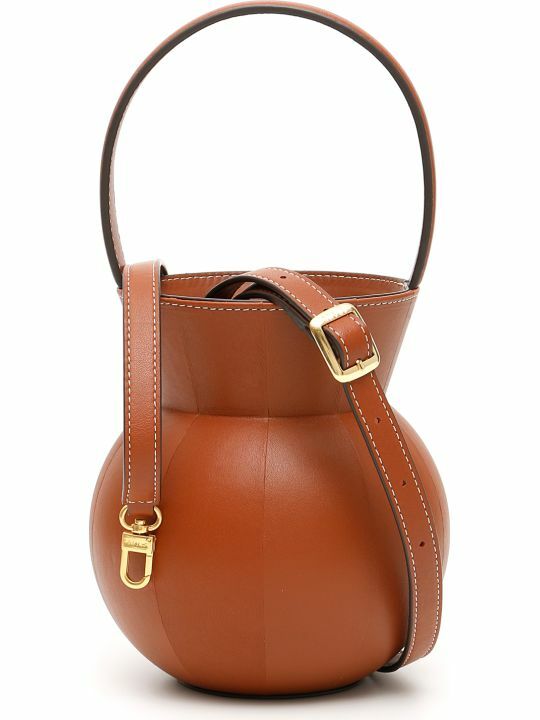 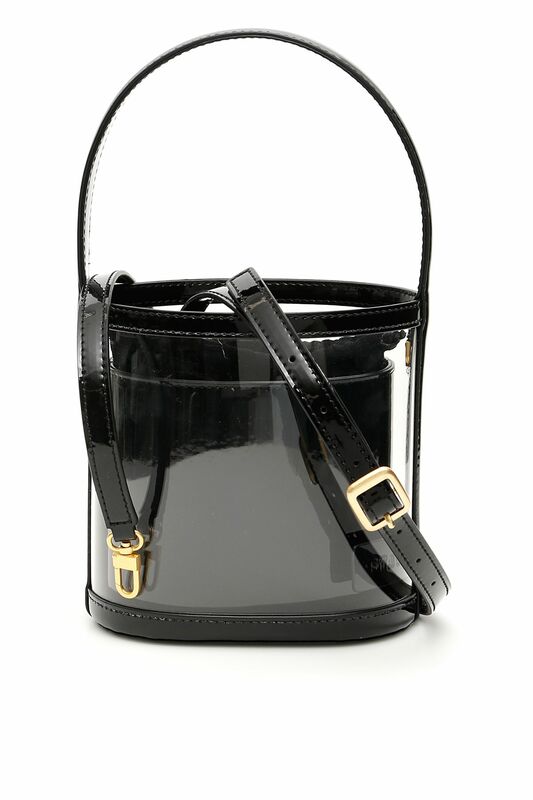 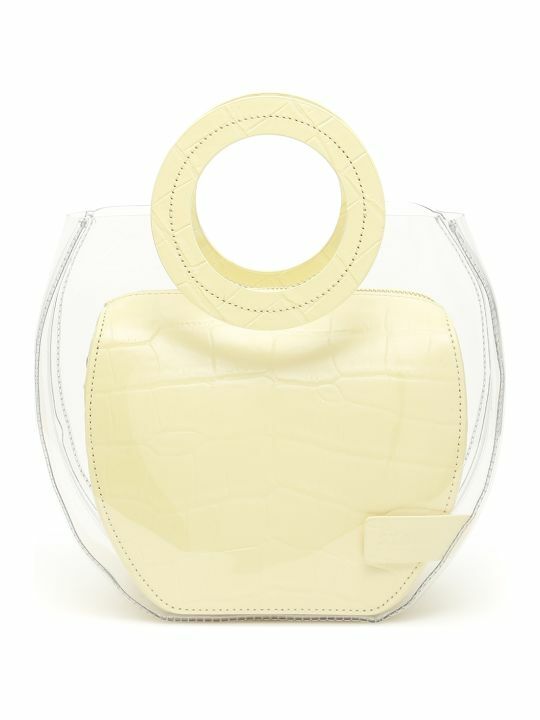 Staud clear PVC and patent bucket bag with top handle, removable and adjustable strap. 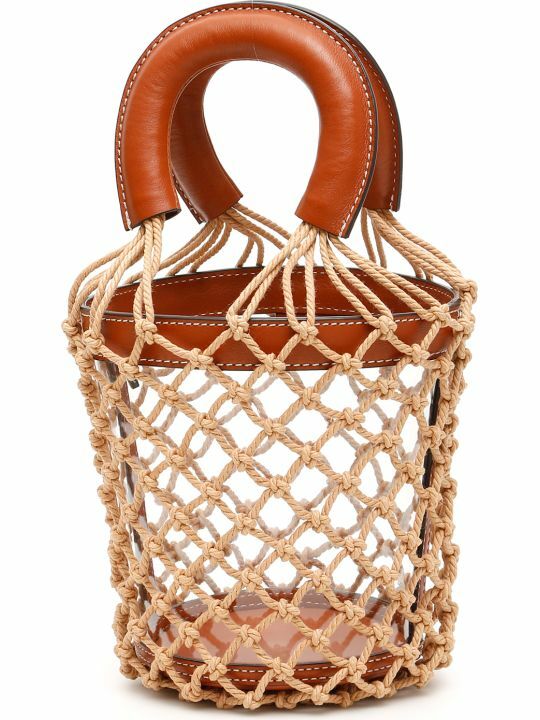 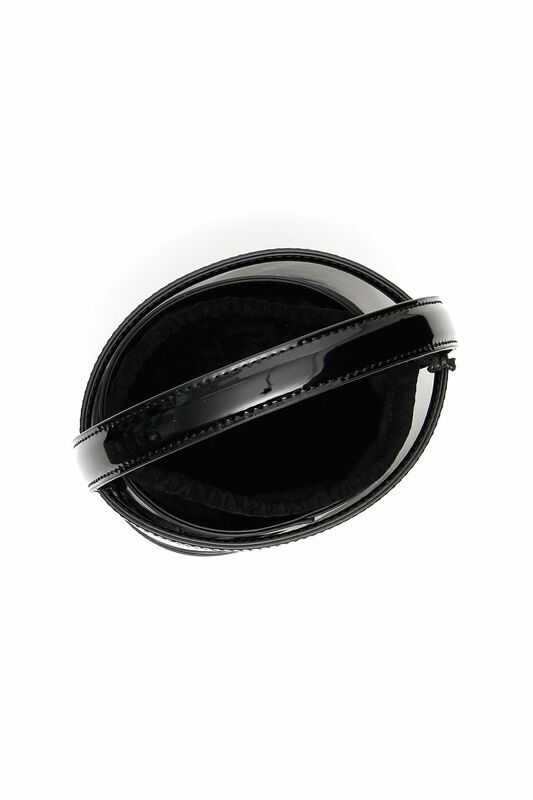 Removable inside bucket with suede lining and drawstring closure. 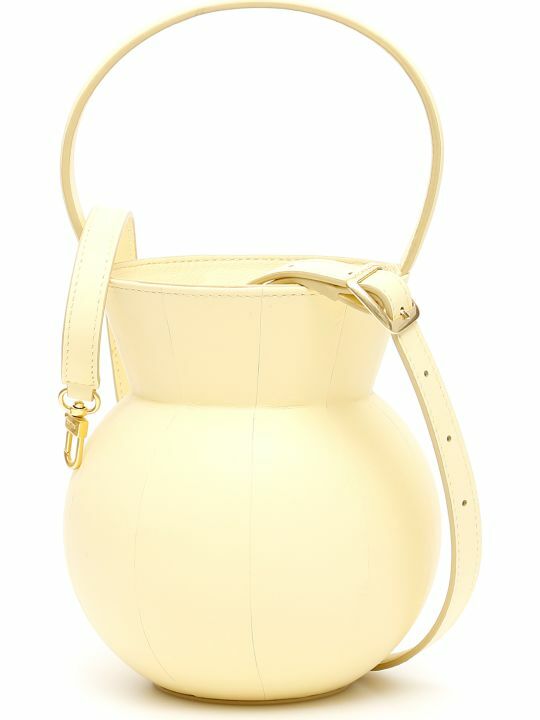 Embossed logo, gold-tone hardware.